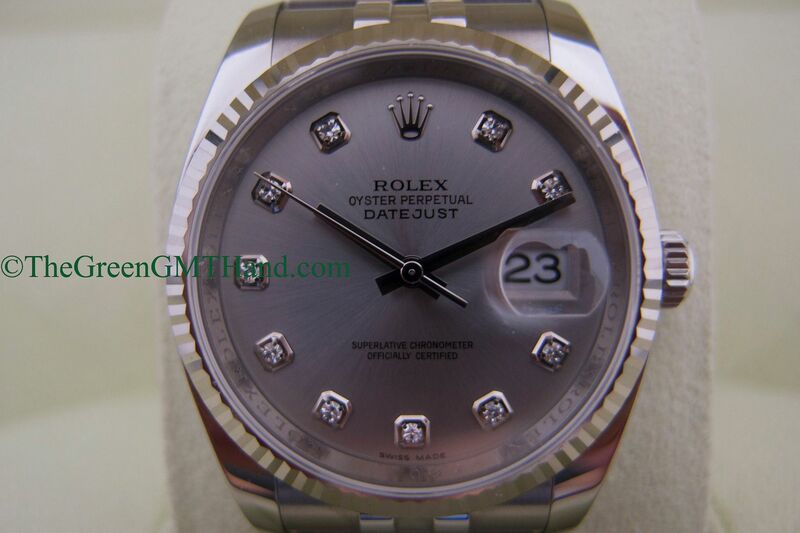 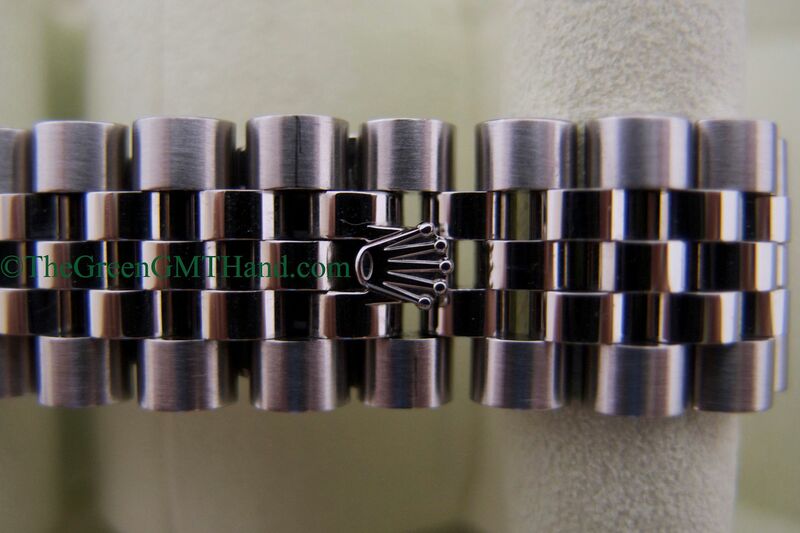 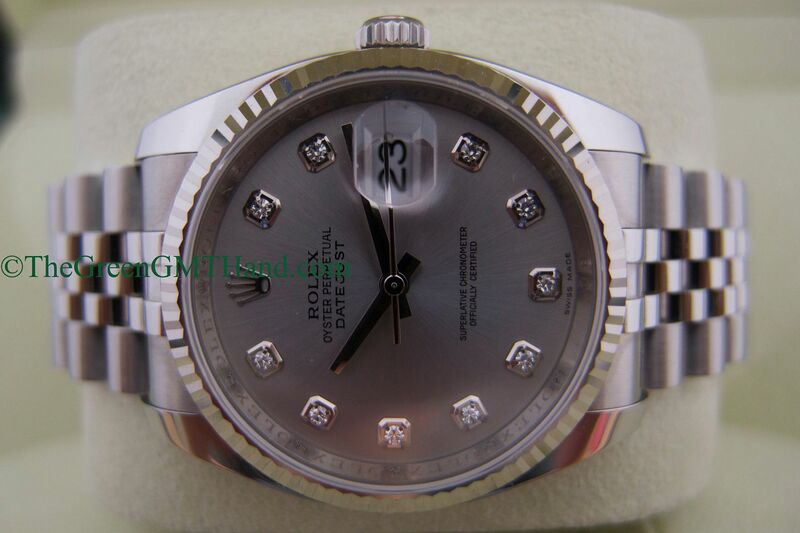 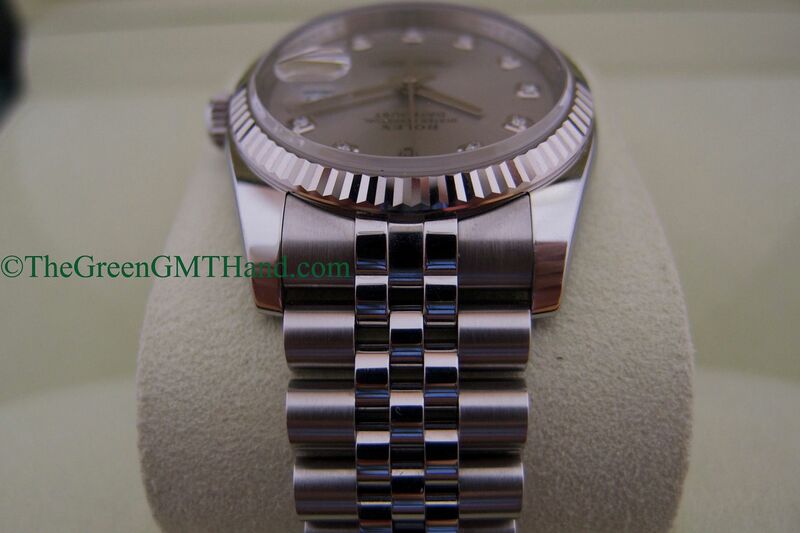 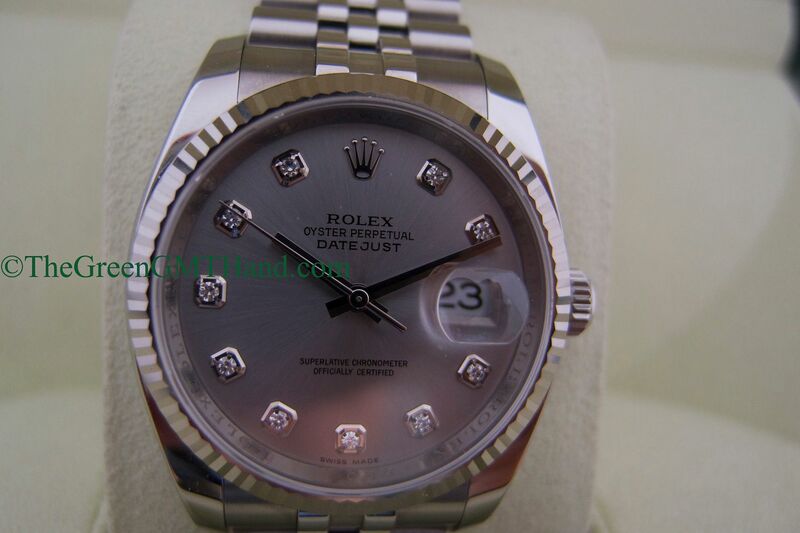 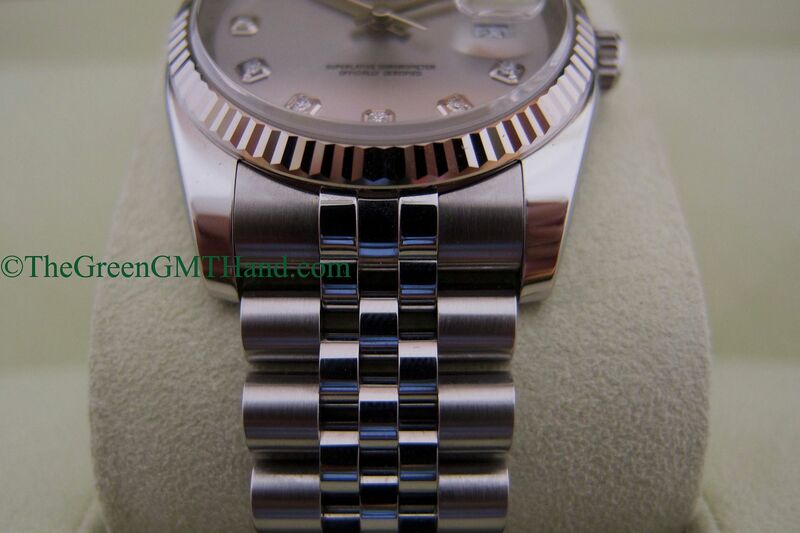 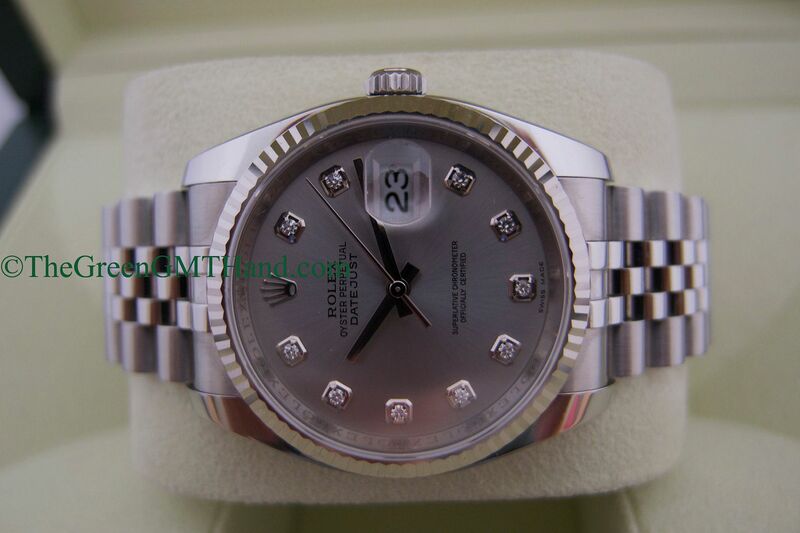 Up for sale is an excellent condition full set Rolex 116234 Datejust 36mm with factory rhodium diamond dial. 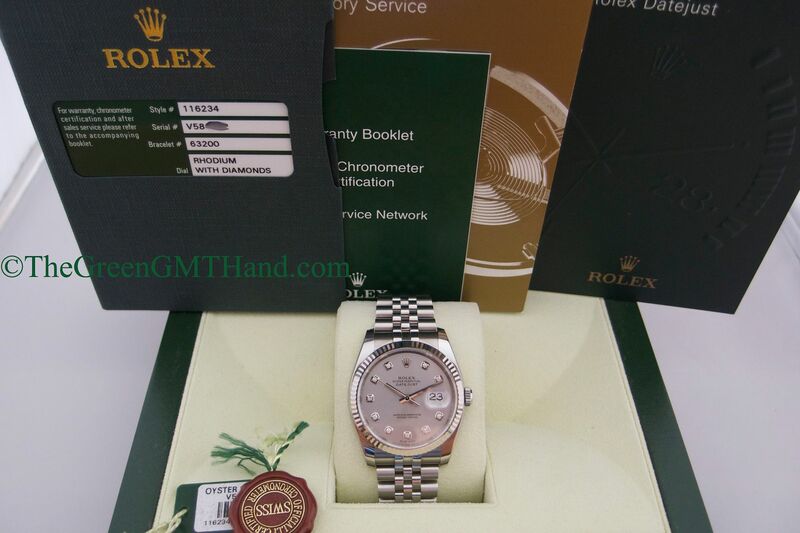 It was purchased from an United States Authorized Dealer and is a complete set with all boxes and original paperwork, and the original tags are also included. 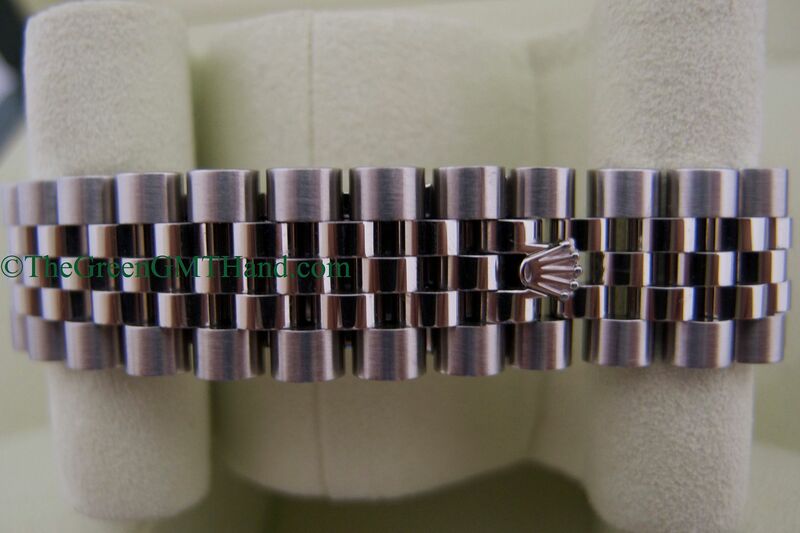 This Datejust features a factory tight REF 63200 Super Jubilee bracelet, and the beautiful and reliable caliber 3135 date movement. 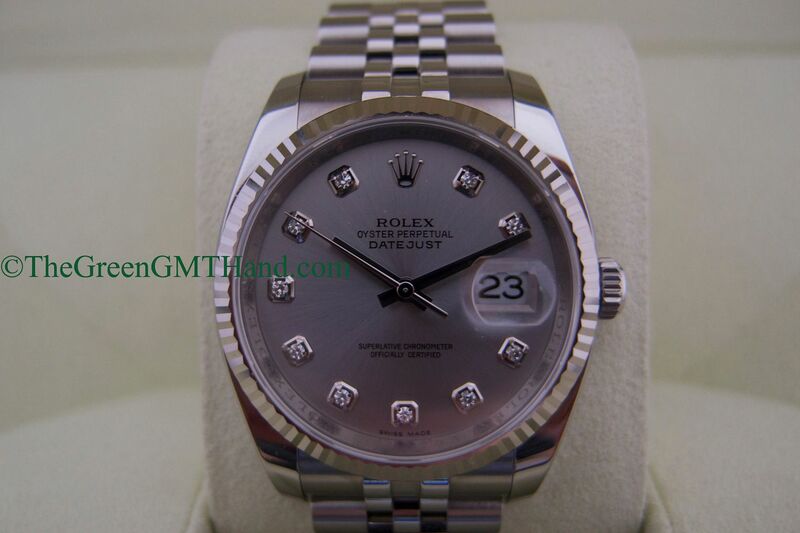 The factory original rhodium dial features 10 of the best quality diamonds on Earth; Rolex only uses D Color Flawless Clarity stones. 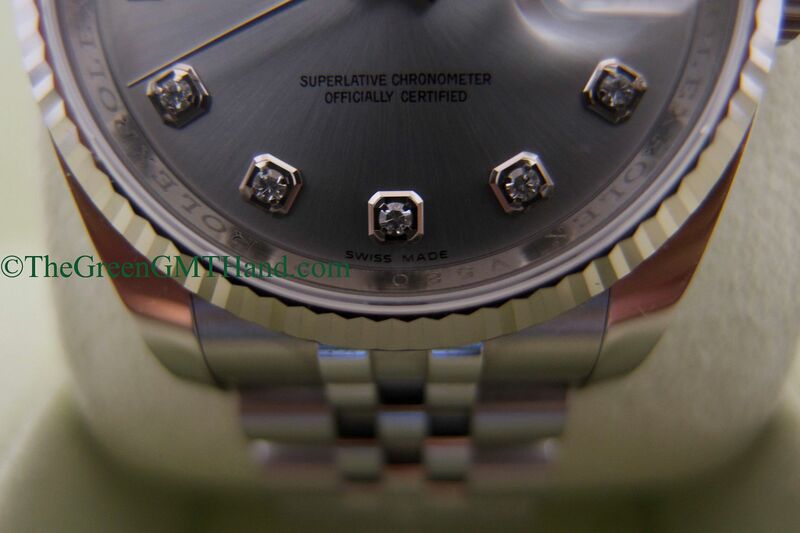 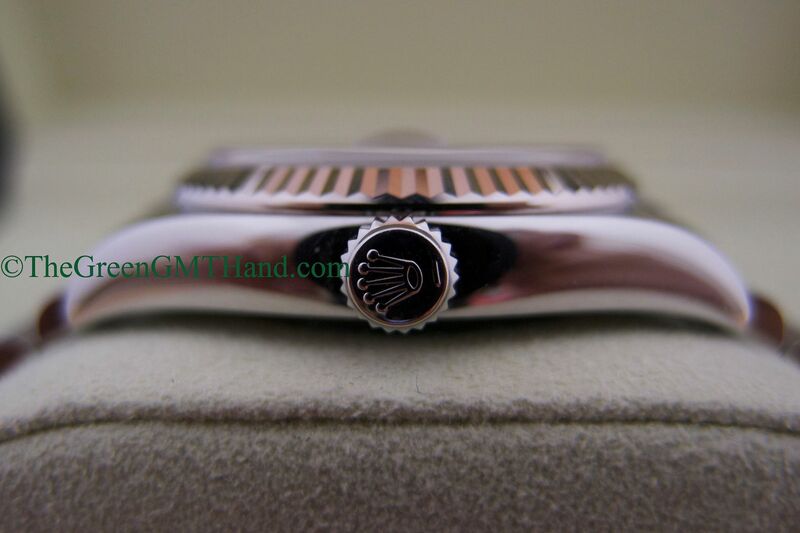 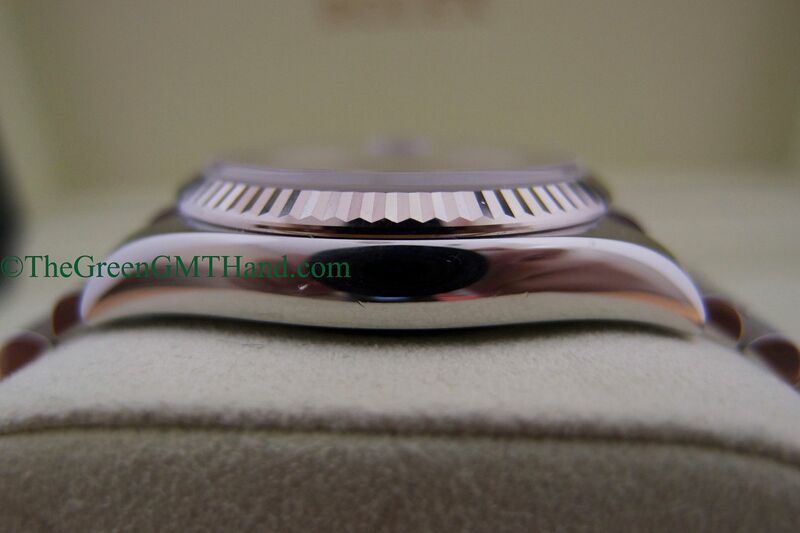 The 18K white gold bezel further adds to the magnificence of this Datejust. 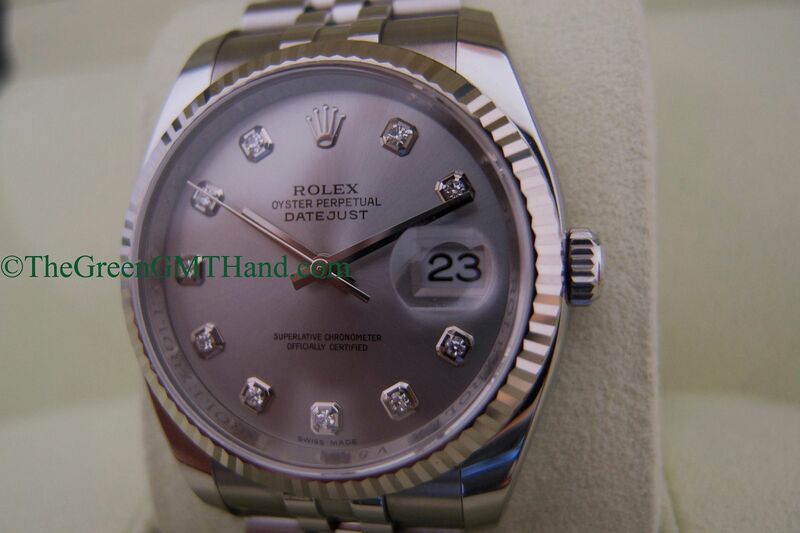 Current retail is $9,900 plus tax; call us today!